Former communications minister Dina Pule launched the Institute for e-skills human capacity in May to lead government's efforts in building e-readiness and e-astuteness across the nation. The prize giving of the Mobile Application Development (MAD) challenge, hosted by the Institute for e-skills human capacity development, took place at the University of Pretoria last night. According to chief director for the institute, Mymoena Sharif, the MAD Challenge is designed to introduce grade nine and 12 secondary school learners to mobile technology as a stimulator of entrepreneurial potential and interest in ICT as a career and study choice. "The project is structured as a competition," says Sharif. "Based on each learner's application form and academic performance, promising learners from University of Pretoria feeder schools are invited to take part." The school learners are guided through the basics of BlackBerry Java application development via six weeks of training, and then apply their knowledge to create mobile apps over the next six weeks. Applications are judged on the creativity and entrepreneurial content of the idea behind the app, usability, functionality, completeness, business value motivation, and programming skill, says Sharif. In May, former communications minister Dina Pule launched the Institute for e-skills human capacity (an interim name) by amalgamating the e-Skills Institute, the National Electronic Media Institute of South Africa and the International School of SA. 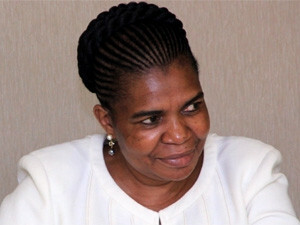 Pule said the entity is set to lead government's efforts in "building e-readiness and e-astuteness across the nation". In a statement released today, the institute says it drives mobile application development in SA to address the skills shortage within the ICT industry and to meet industry and local community needs. Focus areas range from stimulating interest in ICT, developing entrepreneurs and creating a platform for innovation within the country. According to the statement, the institute has established mobile application development factories to serve as local platforms for innovation in the Eastern Cape, Gauteng and Western Cape. The app factories are attached to the provincial coLabs, the institute's presence on a provincial level.